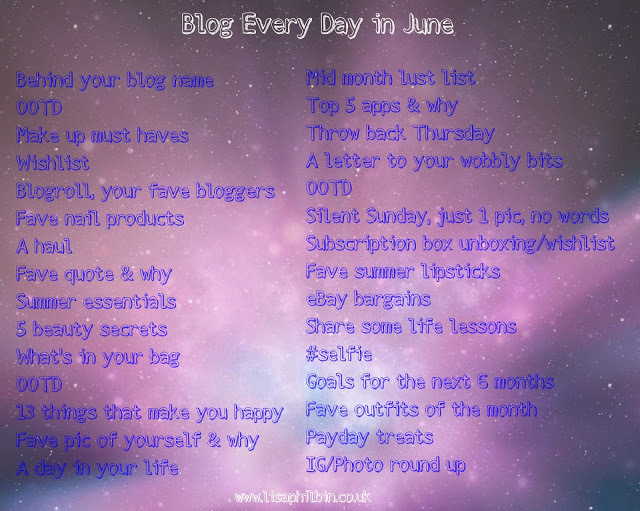 I seem to have lost my mojo just recently so when the lovely Lisa over at My Big Fat Blog suggested a blogging challenge to post everyday in June I thought it would be a way to get my creative juices flowing again! I am going to try my best to have a go and hopefully life won't get in the way! There is also a hashtag #blogeverydayjune which we will be using on social media throughout the month. I am quite excited to do this as it has been awhile since I took part in any monthly blogging challenges!